SACRAMENTO, Calif. — California Gov. 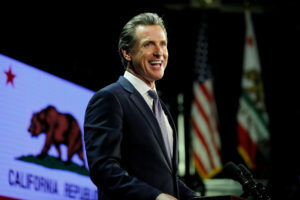 Gavin Newsom announced Tuesday he’s abandoning a plan to build a high-speed rail line between Los Angeles and San Francisco, a project with an estimated cost that has ballooned to $77 billion. The idea championed by Newsom’s predecessor, Jerry Brown, is years behind schedule.